Collecting Tolkien books is just pathetic (and possibly fetishistic too). That is, at least, the thought of one individual – an internet troll for that matter, who kindly posted a comment on this particular post I had written a while back: My Tolkien Collection: Deluxe Editions. At the mere mention of the word “Celebrian”, the majority of Tolkien readers would stir in their seats; they would frown; and their minds switch to SEARCHING MODE. All this in a vain attempt to try and piece together a background for this character and place the name within the stories of Middle-earth. Celebrian is an extremely obscure figure, whose references in any of Tolkien’s works (by which I mean not just The Lord of the Rings), amounts to only a handful of words. “Celeb” meaning “silver” and “(-rian)” signifying “crown-gift” was an elf of Lórien; and more importantly, she was the daughter of Galadriel and Celeborn. 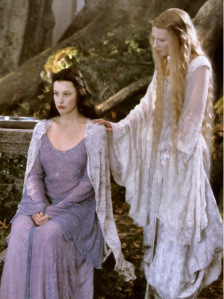 Furthermore, she was the wife of Elrond and the mother of Elladan, Elrohir and Arwen. Did a cosmic fluke make life on land possible? When pondering how likely life is to develop on other worlds, or what types of life might develop, we always have to always bear in mind that we currently only have one example to work with. And that example has one extremely unusual attribute, a large moon, at least large in relation to the size of Earth. There have been speculations over the years about how Earth’s moon may have played a unique role in helping life to develop on this planet, from stabilizing and slowing the Earth’s rotation, giving it a much calmer and more stable climate than it otherwise would have had, to the effects of tidal forces on life’s rhythms. This article highlights a paper that looks at the moon and its tidal forces possible role in helping life to colonize land: Did A Cosmic Fluke Make Life On Land Possible? | Inside Science. If you don’t take a stand for net neutrality, corporations, like cable companies, are more than happy to sound off against it by creating fake people’s campaigns. Corporations are people too, right? 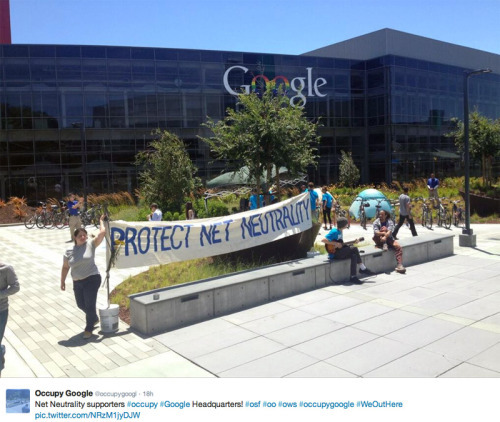 Time is running out to make YOUR VOICE heard in the latest test to a free Internet. The other day, I mentioned that I had some sympathy for the deBroglie-Bohm interpretation of quantum mechanics, namely an interpretation that there isn’t a wave-function collapse as envisioned by the standard Copenhagen interpretation, but a particle that always exists but is guided by a pilot-wave. It turns out that there are some people doing experiments with fluid dynamics that seem to show results very similar to the dynamics envisioned by the pilot wave interpretation.